Take a mixing bowl and add maida. Use butter which is kept at room temperature. If the butter is not at room temperature and is hard, soften it in a microwave oven on high power for 30 seconds. Add the softened butter to maida and mix well. Mix the butter by rubbing between fingers so that butter gets incorporated well into maida. Add water little by little and make a firm yet soft dough. If the dough is too soft and sticky it will be difficult to roll it. If the dough is hard then also the kajjikayalu will not puff up. So take care while preparing the dough. The dough should be firm yet soft to touch. Cover the prepared dough and keep it aside for one hour. Meanwhile let us prepare the stuffing. Crush cardamoms and remove their skins. Powder the cardamom seeds in a mortar & pestle. Cover the cardamom powder to retain the aroma till use. Heat a pan and add ghee to it. When ghee is melted add grated coconut and fry stirring on low flame. Fry the coconut till it loses some moisture and becomes dry. Stirring while frying the coconut is important otherwise coconut gets burnt at the bottom of the pan. When coconut is dry add sweetened condensed milk and mix well. Cook stirring on low flame till the mixture gets halwa texture. Add cardamom powder and mix well. Cook stirring for a minute and then transfer the coconut mixture to a bowl and keep it aside for cooling. Make equal sized oblong shaped balls of the coconut mixture. The m mixture makes 14 balls. Similarly make equal sized 14 balls of the prepared dough. Before making balls knead the dough well. Then make 14 balls of the dough. Heat a pan and add oil for frying kajjikayalu. Spread a paper napkin in a plate and keep it ready. After frying the kajjikayalu we will place them on the paper napkin to soak excess oil. Similarly place a wire rack in a plate to drain excess syrup from the syrup coated kobbari kova kajjikayalu. Now let us start rolling. Take a ball and roll to a small disc—roll it in even thickness. Place a coconut ball in the center of the disc and fold the disc over the coconut ball. Press and seal the edges and stretch the sealed portion slightly to enable to make a design. Start folding to give a design to the folded edges. Fold a small portion starting from a corner. Observe a pointed edge and start making the second fold holding the pointed portion of the edge. Observe that for every fold we get a pointed edge. Fold the pointed portion to form the pattern. Like this fold till the end and make a designer kobbari kova kajjikaya. 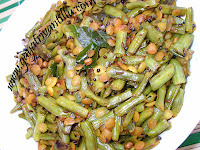 Similarly make three more kajjikayalu and arrange them separately in a plate. When oil is hot enough we will fry these kajjikayalu. But before frying, let us prepare the syrup. In a pan take sugar and add water to it. Heat this pan of sugar and water and stir to melt the sugar. Cook the sugar solution till the syrup reaches one-thread consistency. When the reading on candy thermometer shows 110oC then the syrup reaches one-thread consistency. While the syrup reaches its consistency, let us fry the kajjikayalu. Drop kajjikayalu carefully into the hot oil. After some time when one side is dry turn them carefully with a ladle. 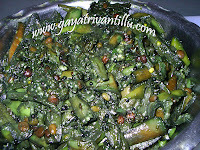 Do not overcrowd the oil by adding too many kajjikayalu—leave enough space for the kajjikayalu to float in oil. Fry the kajjikayalu on medium heat turning the sides till they are golden in color. Remove them from oil with a slotted ladle and place them on the paper napkin which will soak excess oil. By this time if we observe, the syrup is thick. Insert a candy thermometer into the syrup and measure the temperature. When the reading on candy thermometer shows 110oC, switch off the flame and add the fried kobbari kova kajjikayalu. Coat them evenly with the syrup and take them out of the syrup with a slotted ladle. 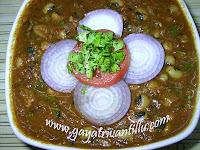 Place the syrup coated kobbari kova kajjikayalu on the wire rack to drain any excess syrup. On cooling the syrup becomes thick. Add some hot water to the syrup and boil till it reaches one-thread consistency. Repeat the process of making, frying and coating with syrup of kobbari kova kajjikayalu. Place all the kobbari kova kajjikayalu on the wire rack till they are completely cool. Once they cool down the syrup on them thickens and will not be sticky. Then store or serve the tasty kobbari kova kajjikayalu. Use ghee or oil to rub into the flour, if butter is not available. However adding butter makes the kobbari kova kajjikayalu soft and flaky. Another option for a better tasting filling is using milk and jaggery instead of condensed milk. However using condensed milk saves time. Allowing rest period for the dough will make the dough soft and stretchable. Fry the kobbari kova kajjikayalu on medium flame only for even browning. Using a candy thermometer is much easier than checking the thread consistency—so invest in a good candy thermometer. Act fast while coating the fried kobbari kova kajjikayalu with syrup—as syrup thickens on cooling. The thickened syrup when coated on the kobbari kova kajjikayalu further thickens on cooling and appears as if they were sprinkled with some white powder. The consistency is very important. At the given consistency it just coats well. If the consistency is thin, the kobbari kova kajjikayalu will soak the syrup and becomes soggy. If the consistency is thick, the sugar appears as white powder on cooling on kobbari kova kajjikayalu. So, if necessary, heat the mixture to not allow the syrup to crystallize. Last but not the least, involving family members while making this dish not only eases the work but it will also be fun.